Thank you so much for sharing with us what you are doing. I am on a teacher on call list at the moment, but as soon as I get my own classroom, I cannot wait to use the ideas I have as well. I commend you and I am 100% on side! Bravo! What an excellent reflection about the amazing use of Twitter in the classroom! I hope my administrators will see this value and allow access next school year! I have just opened a Twitter account in my classroom. I started by e-mailing the parent that this was an experiment I wanted them to take part in with me. Your words hit exactly on every reason why I wanted to give this a try! Thank you for confirming my feelings that Kinders can do this and the many benefits! Wow, thanks to everyone for the thoughtful comments and positive feedback. My class continues to tweet, and I am so proud of the connections they are making. @Jen Smith – I used my own twitter network of kindergarten teachers as a starting point, and it grew from there. Let me know if I can help you get started! How did you find people to be in your twitter group? I would love to do this with my third graders! RT @Matt_Gomez – great work on your behalf. It sounds wonderful for your learners. What an exciting way to integrate technology that is so ubiquitous and to make it into a unique way to connect with others. Wonderful post. I am an Instructional Technology trainer and the power of twitter amazes me even with the little ones! It makes the world flat!! What a great post! My students use Twitter in the classroom too. I teach Grade 1 and Grade 2, and we have two class Twitter accounts (@avivadunsiger and @avivadunsiger2). I have two daily Tweeters each day, and they tweet about our day on the two class iPads. They love this responsibility, and they love connecting with a global audience. I think it's fantastic that you're giving your Kindergarten students this same amazing opportunity too! P.S. 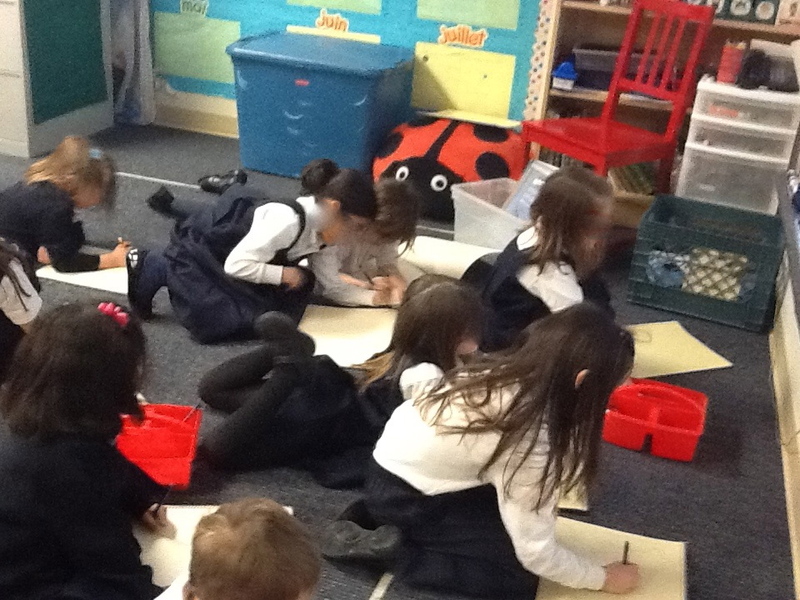 On the 100th Day of school, we used both Twitter accounts and my @grade1 account to try and send out 100 tweets. Students loved making connections from around the world in our special tweeting activity. We didn't quite make it to 100, but we got very, very close! What a wonderful learning experience! My Kindergarten class would love to join your Kindergarten twitter network. I am going to send your blog to my computer science teacher in our high school. What better support could I have hoped for than you excellent blog! Thanks for sharing!!! Wow! I teach 4th grade and would NEVER have thought to use Twitter in the classroom with my students (partly because I'm new to the venue myself). I loved hearing about all the connections your students were making….I loved that they were finding out if their Twitter Friends had sinks, coatrooms etc. Curious – did you have to get permission from administration? parents? Did you start with just one class or several – I am totally hooked on this idea! @Melissa – so honoured to have inspired you. Let me know if you ever want more details/ideas. The world is such a big place, and it is so powerful when little people get a voice. @jen: Thank you for the pushback. This post has been in me for a long time. @Teach42: We have had some technical difficulties with Skype, but as soon as they are resovled, I will take you up on your offer. My kiddos LOVE stories. @Meg: Global connections, indeed. Some are reading our tweets already, without even knowing they are doing so (and this in a kindergarten program with no explicit reading instruction). Amazing. Twitter is blocked in my district. I'm going to use your blog to convince them to unblock it for me! Thanks! Global connections in Kindergarten!! – AND they are so excited about reading with friends everyewhere! Thank you for taking the time to share this. Enlightening!!!! Very glad you shared this. I'm first grade teacher, and I would have never thought about using twitter in the classroom, but your post has won me over. Bravo to you and your students! I am impressed. Your students are digitally global. Their little eyes are opening to a big world, to which they are important citizens.